One of the most respected and praised storytellers within Hip-Hop culture is Angie Martinez. She received the ultimate nod for her accomplishments in the form of a nomination from the National Radio Hall of Fame for best Music On-Air personality and rightfully so! All inductees are nominated by a 24 person committee who receive suggestions from the industry and listening public before the committee submits their complete list of nominees. Angie’s outstanding contributions across multiple different hip-hop mediums will leave a permanent legacy for years to come. Angie Martinez broke into radio at the ripe age of sixteen at Hot 97.1 under the guidance of DJ Funkmaster Flex. On a national scale, Hot 97.1 possesses significant relevance due to its tradition of promoting skilled, unheralded artists. Together, Funk Flex and Angie Martinez steered the radio station through multiple rebrands en route to becoming a household station that continues to evolve with the times. Through sheer determination and an undying work ethic, Angie started from the bottom and ascended from internship roles all the way to the point where she is universally recognized as, “The Voice of New York.” Most importantly, her come-up speaks to the fact that as a woman in Hip-Hop you do not have to compromise in order to gain due recognition. She completely broke down the mold for women in Hip-Hop and did so by putting her love for the culture first and foremost. She has interviewed artists such as Tupac, Notorious B.I.G. and Jay-Z. 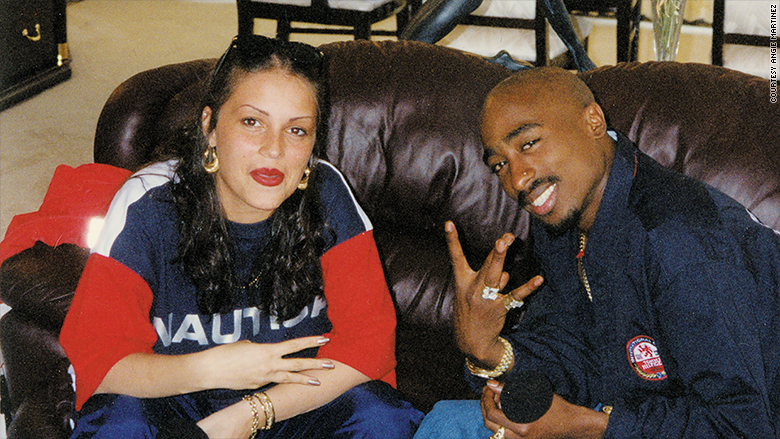 Her Tupac interview truly demonstrates the power of language. Her decision to shelve the interview and leave the majority of it unreleased due to its controversial nature shows wisdom beyond her years. As a Hot 97 radio host, she has been known to play mediator for countless entertaining exchanges. She moderated several tense moments between legendary artists like Cam’ron and 50 Cent, The Lox and P Diddy and did so with poise and professionalism. Far from a “shock jock” radio host, Angie Martinez keeps it real in every situation and focuses on authentic documentation within every scenario. Day in and day out, she is trusted to deliver the purest content through thought-provoking stories that challenge public perception and create maximum impact. When she departed Hot 97.1 with an emotional on-air sendoff, she shocked her fanbase with by switching sides to rival station, Power 105.1. To begin her ultimate “glow-up”, she discovered untapped potential with the iHeart radio conglomerate. Since, Angie has expanded her reach to new areas and greatly contributes to the ratings stronghold Power 105.1 maintains over Hot 97.1. Throughout her career, she has transformed the ways by which radio personalities submit their viewpoints and perspectives. As a true source of longevity, Angie has spearheaded social shifts and does so through invigorating conversations with some of Hip-Hop’s most influential individuals. Asides from radio, she has hosted on television, acted in movies alongside Queen Latifah and Sanaa Lathan, and even featured on songs with KRS-One, Wyclef Jean and Lil Kim. Cast your vote for Angie at http://www.radiovote.com or text 300 to 96000. Votes will continue to be counted up until June 18th. The winners will be announced on June 25th and selected candidates will be ceremoniously inducted into the National Radio Hall of Fame on November 15th. Chapter 7 is a roller coaster ride. The end of #battleofthebeats. New beginnings. #myvoicethebook pre-order link in bio! Previous Bodega Boyz Desus & Mero Take Their Talents From E.Tremont to Showtime!